Gyms and fitness centers have become increasingly popular as people realize the importance of improving their health. That’s good news for your bottom line, but it might be bad news for your facility overall, particularly if you’re not able to keep your equipment, and facility as a whole, clean and sanitized. As the owner or operator of a gym or other fitness facility in Edmonton, you’re in a unique position, as your clients not only track dirt and grime in from outdoors, but contaminate your equipment and facility with sweat, germs and more. Obviously, you need the help only a gym and fitness center janitorial company can offer. How do you choose the right partner? Unlike general commercial cleaning, where the primary focus is on vacuuming carpeted areas, dry mopping natural stone flooring, and dusting, the focus with gyms and other fitness facilities is on ensuring that all equipment is clean and sanitary. While your own employees and customers will wipe down equipment throughout the day, it’s important that a cleaning company thoroughly sanitize every piece of equipment. While you no doubt have some hard surface floors in your facility, you also have a number of other surfaces, ranging from wood to rubber. Each of these surfaces collects dust, may be spattered with sweat (containing germs), and more. Make sure that you work with a gym and fitness center janitorial company that has the right cleaning products (and knowledge) for each type of flooring in your facility. Most gyms and other fitness centers provide a place for their members to shower off after an intensive workout. That’s great for them, but it means you have additional cleaning needs. Make sure you hire a cleaning company in Edmonton that is capable of cleaning the showers and locker room. They should be able to prevent the buildup of mold or mildew, and eliminate odors. Make sure they’re willing to clean toilets, showers, entry ways, benches/seats, locker doors and drains. While some older gyms may have fewer windows, most modern facilities have a lot of glass to let in plenty of natural light for gym-goers. That’s great for your customers, but glass can get dirty very quickly. 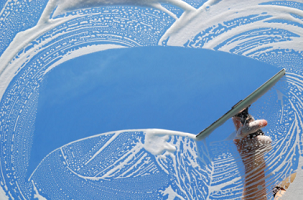 All it takes is a little pollen, or a couple of summer thunderstorms, and your glass is in need of cleaning. There’s also the fact that your customers may smear and smudge the interior glass. 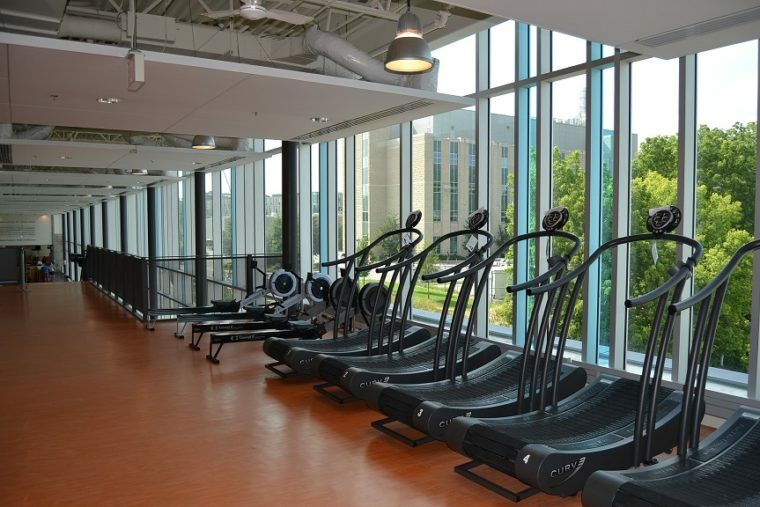 Make sure the gym and fitness center janitorial company you hire does windows, and does them well. Finally, it is important that you choose a gym and fitness center janitorial company that is able to work around your schedule. Do you need cleaning during off hours only? Do you prefer to have the facility cleaned during the early morning, or during the late evening hours? Make sure that the company you choose is able to accommodate your schedule. With the right gym and fitness center janitorial company, you’ll be able to enjoy a wide range of benefits. Not only will your facility be clean and bright, but you’ll be able to reduce the risk of many threats to your customers. For instance, mold, mildew and other funguses can quickly take hold in damp, warm areas like your shower or locker room. Germs can be spread from incorrectly maintained fitness equipment, including devastating ones like MSRA. By ensuring that your facility is professionally cleaned on a regular basis, you give your customers the key to good health. To get your fitness center professionally cleaned, contact Red Door Cleaning in Edmonton by email at info@reddoorcleaning.ca, or call 780-686-9974.